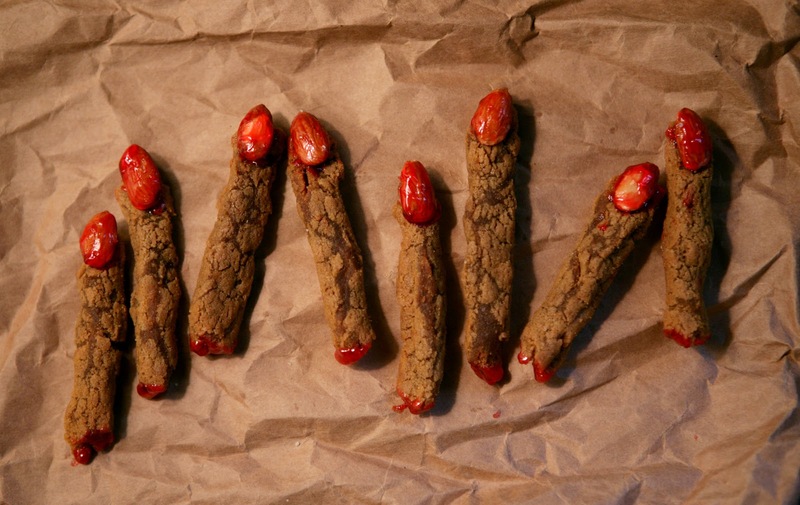 This weekend, when I got a blood red manicure and ended up with a bloody gouge on my thumb (white whine), I was reminded of a Halloween project I've been meaning to undertake (ha ha) for far too long: spooky finger-shaped cookies. 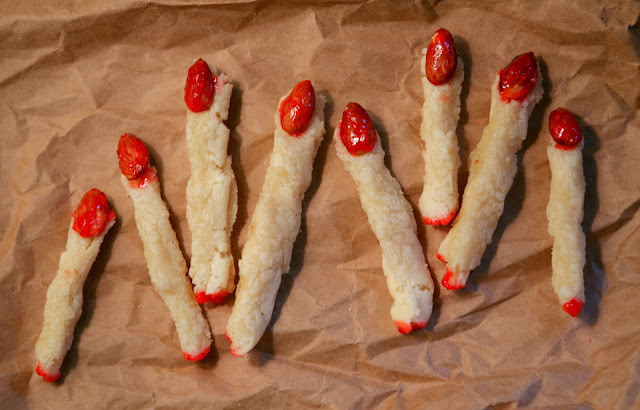 This time of year, these clever Halloween treats are featured in every lifestyle magazine and all over the Web, so I'll spare you an essay on how frightfully fun and eerily easy they are to make. Though I will point out that this would be a fun project to do with kids. It's tactile, messy and has a delightful gross-out factor. I used this technique but relied on my own recipes for sugar and molasses-ginger cookies, which was a mistake. After I painstakingly shaped the dough into fingers, they spread as they baked and ended up looking like tombstones. Which is fine if you're making tombstone cookies, but I wasn't. Happily, I salvaged the mess by using my hands to roll and shape the still-warm tombstones into fingers. I actually quite like the way they look wrinkled and decayed. But do yourself a favor and use Martha Stewart's (or a similar) recipe for a dough that will hold its spooky shape. Ewww...those cookies are gross looking. And I mean that in most complimentary way possible! 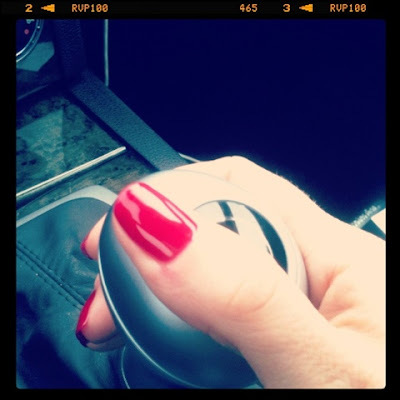 I like how they're so wrinkly. Hallowe'en is so much fun.